Hector Sanchez wore #43 for the Grizzlies in 2011 when the catcher made his Triple-A debut. The Venezuelan (pictured above with Nick Noonan) played in 46 games with the Grizzlies in ’11, batting .261 with 26 RBIs. 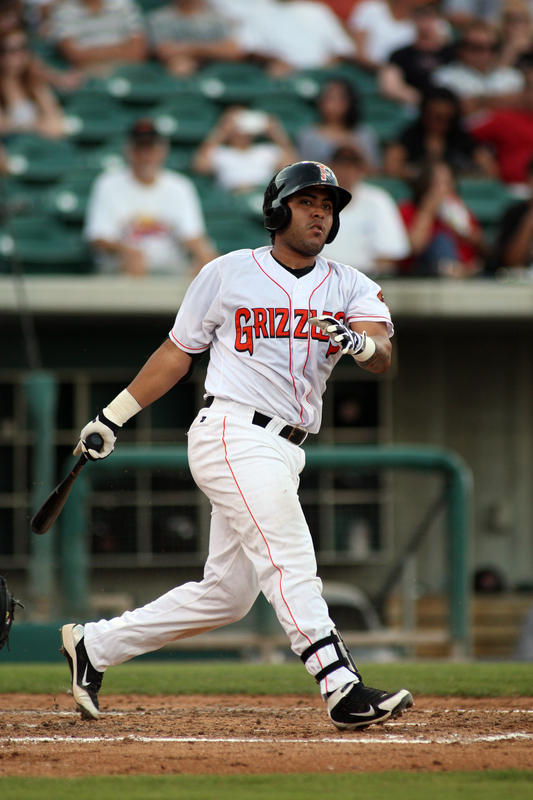 Sanchez also played for the Grizzlies in 2012 on MLB Rehab assignment. He is one of the 17 of the 25 Giants on the 2012 World Series roster who has also played for the Grizzlies in their careers. Opening Day is April 4th at Chukchansi Park. Oh, the offseason. The lack of daily baseball at Chukchansi Park leaves those of us who work here itching to get a jump on next year. And so, as we did last offseason, we will begin looking at the players making their way through the farm system who seem likely to spend at least part of the 2012 season here in the Central Valley. There will be names you most likely recognize, as well as those you probably do not. We’ll start this year’s crop with one that most Grizzlies and Giants fans know by now: Gary Brown. Even if he begins the season at Double-A Richmond, which seems likely, given the logjam in center field created by the likes of Justin Christian, Darren Ford, Tyler Graham, the newly-signed Gregor Blanco and possibly Andres Torres, Brown will be a name often on the tips of Grizzlies fans’ tongues next season. That expectation simply comes with the territory when you are a first-round draft pick, as Brown was in 2010. Just ask Madison Bumgarner (’07) and Buster Posey (’08), or the recently departed Zach Wheeler (’09), who now faces the additional pressure with the Mets of being the top prospect traded for a star in Carlos Beltran. With Beltran himself quite possibly heading elsewhere this offseason, that will put pressure on Brown to live up to large expectations, and will no doubt lead to fans calling for his promotion to the Majors sooner rather than later. Brown has certainly done nothing to dampen the enthusiasm surrounding him, but the Giants were careful with the Cal State Fullerton product in his first season. After assigning him straight to High-A San Jose in 2011, Brown was given the entire season to prove what he could accomplish in the California League. All he did was post a line of .336/.407/.519, rapping out 61 extra-base hits, stealing 53 bases, and scoring a mind-numbing 115 runs in just 131 games for the minor Giants. As we always do at Yard Work, we sought out the expertise of someone who has seen what Brown can do close-up. We spoke briefly about Brown a couple weeks prior with former Grizzlies hitting coach Ken Joyce, who served in the same role for Brown’s Scottsdale Scorpions in the Arizona Fall League, whose regular season ends today. 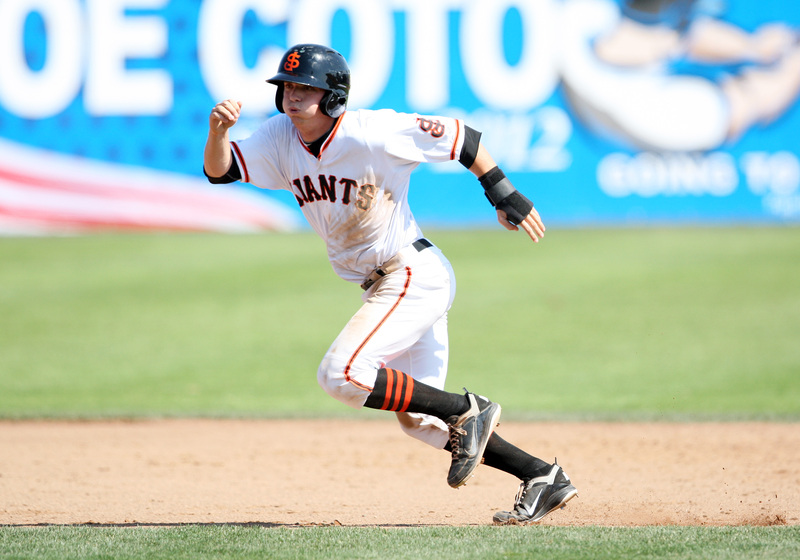 But we went into greater depth with Joe Ritzo, the radio voice of the San Jose Giants, to learn more about what to expect out of the young centerfielder as he moves through the system. Ritzo pulls no punches when describing the role Brown played for San Jose, picked as the High-A Team of the Year, last season. Indeed, Brown swatted 14 home runs on the season. He also absolutely wore out left-handed pitching, batting .459 with a .685 slugging percentage (!) against southpaws last year. Not bad for a leadoff hitter. Ritzo also compares Brown’s speed to the likes of Grizzlies single-season and franchise stolen base leader Graham, as well as Ford. Those two have been considered the fastest prospects in the system over the last few seasons, so the bar has been set high in the speed department before Brown ever sets his fleet feet in Fresno. But how does he compare to recent top draft picks at other positions? “I’ve been here five or six years and there’s nobody quite like him and how he plays the game,” says Ritzo, which is high praise considering the top prospects that have roamed the diamond at Municipal Stadium the last few years. When I ask Ritzo to compare Brown to the likes of Posey and Bumgarner, he provides some interesting perspective. 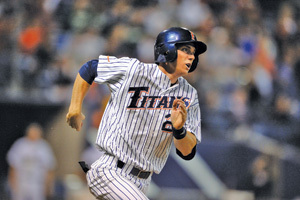 Brown, as mentioned earlier, had the advantage of coming through a high-caliber college baseball program at Cal State Fullerton, the same school that produced Brett Pill. Fresno fans have seen that the experience and maturity gained from those years has paid dividends for Pill, and they seem to be doing the same for Brown, according to Ritzo. The only tick on Brown’s stellar 2011 performance can be seen with a deeper look into his month-by-month numbers. He batted .333 (including a .385 mark in August and a .397 clip in May) or better in every month of the season except one— a glaring .202 performance in June. In cases like these, it’s important to look for answers beyond the box scores, which is where someone like Ritzo comes in handy to provide context for such a slump. While the San Francisco brass may have taken the conservative route with Brown in 2011, Ritzo does not expect them to necessarily continue to do moving forward. Here’s to hoping Fresno fans get a glimpse of what Brown can do sooner rather than later. There are many young kids in this country and other parts of the world who aspire to play professional baseball when they grow older. Unfortunately, for most of us, this fantasy is eventually smothered by the harsh realities that come with the different seasons of life. We realize that the road to becoming a professional athlete is too narrow for all dreamers to travel on. On the other hand, there are some kids who are just gifted, lucky, and put in a lot of time and hard work. These kids eventually do get to play baseball professionally. We see them every summer at venues like Chukchansi Park in Downtown Fresno. But the ultimate goal of every player performing in affiliated ball is to make it to The Show. Even out of all the players that are fortunate enough to have made it to a professional baseball team, a very minute portion will ever make it to the big leagues. So when 2011 Grizzlies Brandon Belt and Hector Sanchezmade their Major League debuts this season at such a young age, it was hard not to appreciate the rarity of the situation. As most Grizzlies and Giants fans may know, Belt made his Major League debut on Opening Day this season. He struggled at the plate to start the year, which is very common for young hitters, and was optioned to Fresno on his 23rd birthday. Injuries to the Giants gave Sanchez his first opportunity to play in the Majors back on July 15th at the young age of 21. Most people don’t even dream of starting a career at that age and this young man started behind the plate for the defending World Series Champions. This year also marks Sanchez’ fifth year as a professional. Some simple math reveals that he was only 16 when he played his first professional baseball game. Three-time All-star and Gold Glover Vernon Wells would know something about being on the brink of being a big time ball player at such a young age. Wells was a first-round selection by the Toronto Blue Jays in 1997 when he was just 18 years old. At the age of 21, he went from playing Single-A ball to playing in the Majors in the span of one season, just like Sanchez. Wells described what it was like to be a teenager in the minor leagues. Perhaps confidence and the ability to relax at the plate was something Giants top prospect Brandon Belt lacked at the beginning of the season. Being sent back-and-forth between Fresno and San Francisco did not discourage Belt, as he kept a positive attitude and a healthy work ethic that was visibly apparent to even the casual observer. His focus paid off on July 19th, when he was recalled by San Francisco to face the rival Dodgers at home. Belt had no problem seeing the ball on this night, as he turned in a 2-for-4, 3 RBI performance, which included a solo shot to right field in the second inning, his first home run at AT&T Park. His contributions lifted the Giants to a much needed, 5-3 victory. Speaking with Belt after the game, you could see it felt good for him to get passed some of his early season struggles. Belt will likely finish the season with the San Francisco Giants, and it does not appear that he will be coming back our way to Fresno anytime soon. Sanchez is currently with San Jose until rosters expand in September. After talking with him in San Francisco, Sanchez expressed his excitement on finishing the year strong and getting more opportunities down the road. “It is amazing being where I am and having a chance to play for a big league team,” Sanchez explained. “I am excited for the future and being able to play with those guys”. Belt and Sanchez are already breathing rare air by making it to the Major League level at such a young age. Now the focus turns to doing what Vernon Wells has done, competing at the highest level for an extended period of time. The hard work and dedication to their craft will have to be pushed to the next level if they wish to have that kind of success down the road. Having witnessed their meteoric rise through the minor league system, it is hard to put a damper on their potential. Ever since Buster Posey’s season ending injury, the San Francisco Giants have had a tough time fully replacing their every day catcher. A couple weeks after Posey went down, catcher Hector Sanchez was promoted from High-A San Jose all the way to Triple-A Fresno. This sudden promotion sparked many questions and speculation about whether or not the Giants were grooming this young catcher to perform on a bigger stage. With a pitching rotation that the World Champion lean on, it is only fitting that a top-notch catcher should be calling the pitches and blocking the plate. Posey was the Giants top prospect in 2010, and he found his way to San Francisco on May 28th of that year and became the compliment to the pitching staff. Posey spent the first few weeks at first base while the Giants evaluated their options. In the end they traded veteran catcher, Bengie Molina to the Texas Rangers and Posey became the Giants starting catcher and prized possession. A year ago, the Giants fan base wouldn’t dare think that a number of players would be doomed to the disabled list, but that is exactly where half of the World Series roster ended up by mid-May. The most devastating injury by far was Buster Posey’s shoulder-to-shoulder collision. He suffered season-ending injuries after Florida Marlins’ outfielder, Scott Cousins barreled into home plate in an extra innings game on May 25th at AT&T Park. 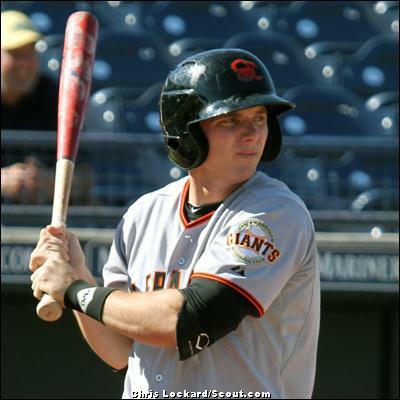 The Giants took action quickly, calling up Chris Stewart from Fresno, and moving backup catcher Eli Whiteside into the starting role. Both catchers are familiar with the pitching staff, but neither has come close to filling the vacant role Posey has left. 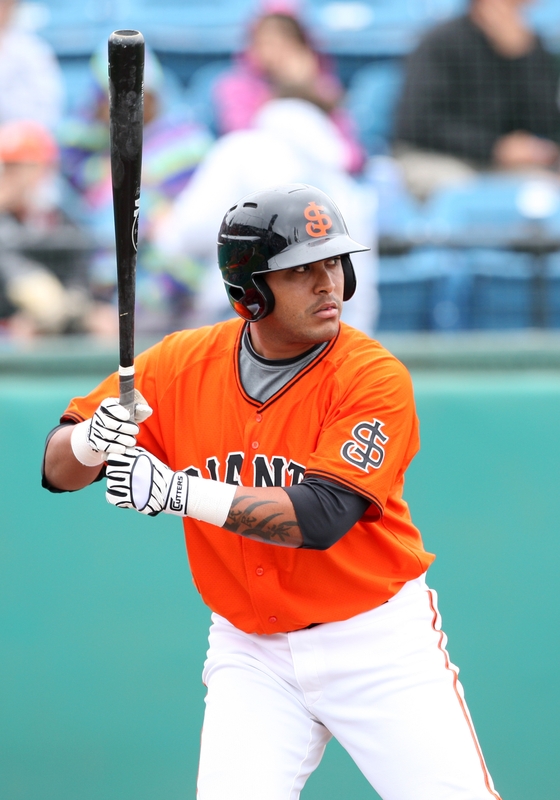 It is rumored that the Giants are looking for other options to fill the position, and the recent promotion of Hector Sanchez from High-A San Jose to Fresno has provoked quite a buzz. There is a whirlwind of speculation about this young catcher but no one seems to know much about him. Sanchez is a 21 year-old from Maracay, Venezuela. He signed with the Giants at the green age of 16 in 2007, and played in the Dominican Summer League for two years. In his second year of professional baseball, he hit .348, with 63 RBI and went 72-for-207. 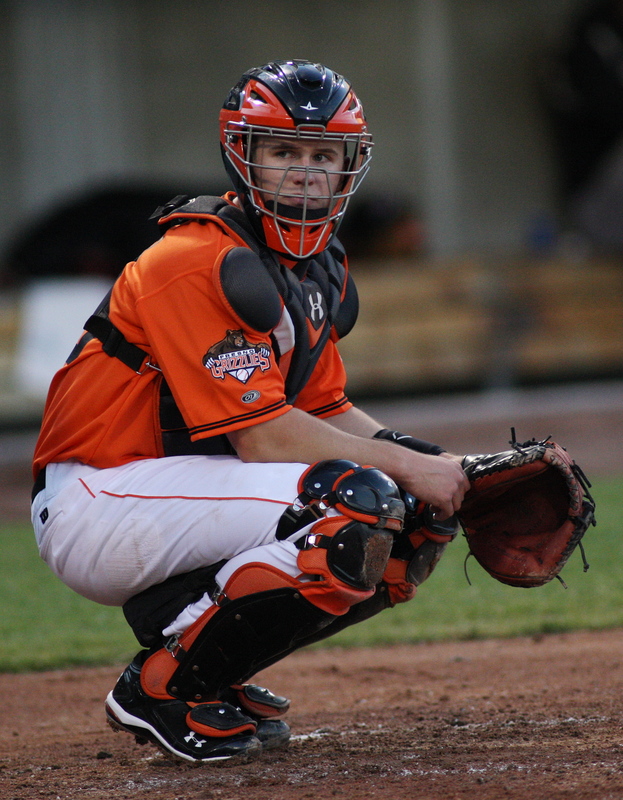 The next year, Sanchez began playing in the Arizona Rookie League, still catching and still producing runs. He hit a solid .299, and hit safely 35 times in 33 games. In 2010, he played at Low-A Augusta, where he batted .274, went yard five times, and had 31 RBI. The Giants obviously saw potentional in Sanchez because he was a non-roster invitee for Spring Training in 2011. He spent a majority of camp with the defending World Champions, before being assigned to High-A San Jose. “He got a lot of playing time because Whiteside got hurt in Spring Training”, points out Decker when asked how familiar Sanchez is with catching the Giants starting rotation. In the Cal League, Sanchez tore it up in his first 43 games, batting .301, notching 19 multi-hit games, and hitting eight homers. Even more impressive is that he continued to be a RBI machine, notching 46 RBI in just 43 games. All of this work at the plate was done at the same time he was behind the plate guiding the Giants’ young arms, including top prospect Zach Wheeler. 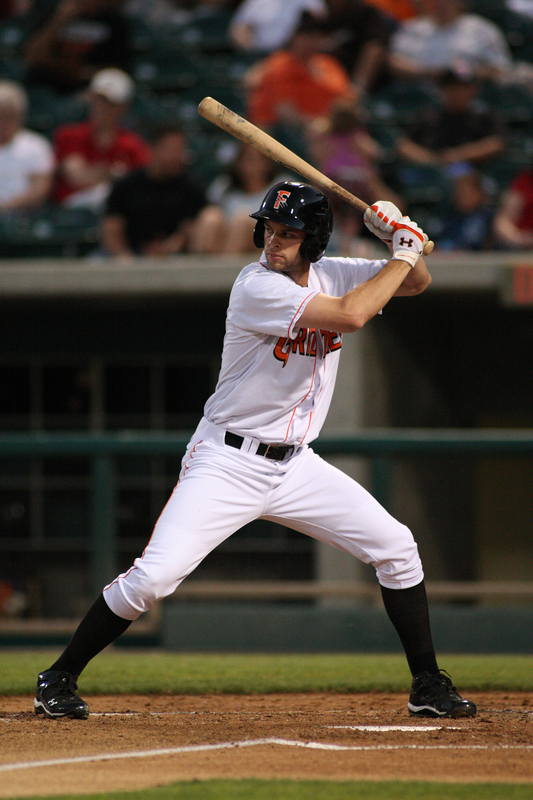 When Sanchez batted clean up for San Jose, he hit .319, and hit six of his eight home runs in the four slot. Sound familiar? Posey was the Giants permanent clean up hitter, and rotating players since his injury have filled that slot. Sanchez was promoted from San Jose on June 9th, and played in his first Triple-A game on June 10th. He went 1-for-3 with a walk, and a RBI in his first game. He caught for veteran Shane Loux who gave up one earned run and fanned three batters in six innings of work. Sanchez’ has reached base safely in seven of his first nine games. He notched his first multi-hit game just six days into his Triple-A career, going 2-for-4, with a double and single, while plating two runs. He accomplished this at the same time as he was behind the plate calling a game for Cy-Young Award winner, Barry Zito in his third rehab start. Sanchez was the starting catcher in every single rehab start that Zito has pitched in, both games with San Jose and two more in Fresno. “Sanchez called a great game and made it easy for me”, expressed starting pitcher, Andrew Kown after he threw six innings of no-hit ball to beat the Sacramento River Cats on June 19th. On the surface Sanchez is a RBI machine based off his offensive numbers alone, and he has the advantage of being a switch hitter at the plate. The real question is, can he catch a starting rotation that carried the Giants to the World Series? Decker, a former catcher who spent most of his career with Giants organization, coached Posey at the Triple-A level, and will continue to shape Sanchez until San Francisco calls upon him. The Giants put trust in Posey at a young age, but it remains to be seen if they will do the same with the 21-year-old Sanchez. It might be too early to tell, but according to Bay Area reporters he is on the right track. If he keeps producing at and behind the plate, he may find himself in the Bay Area sooner than later.